Funeral arrangements have been made for late U.S. 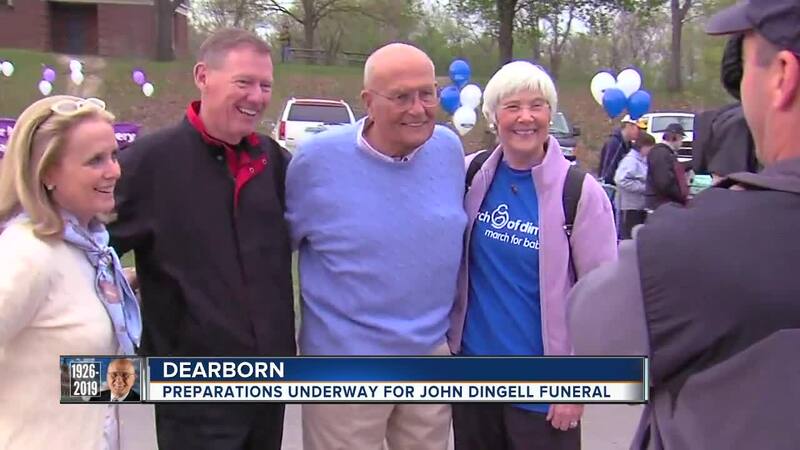 Congressman John Dingell. 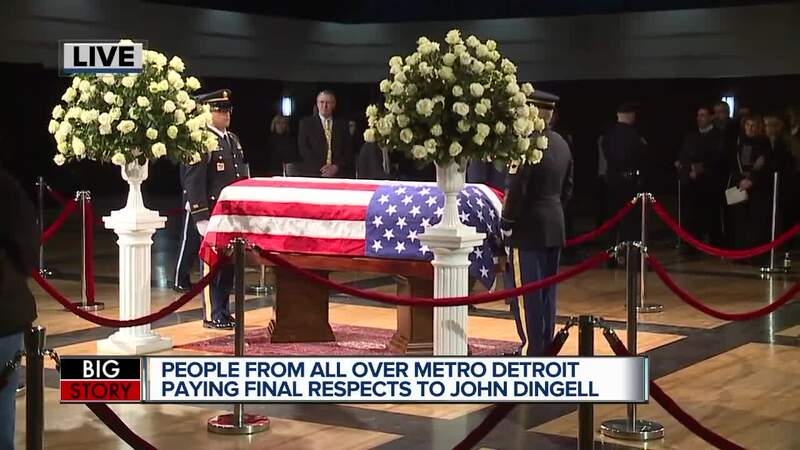 DEARBORN, Mich. (WXYZ) — The final goodbye for for late U.S. 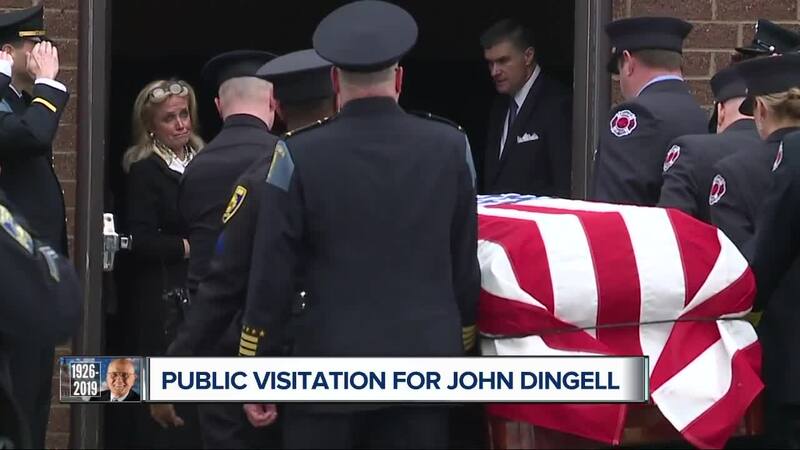 Congressman John Dingell us underway with visitation in Dearborn. 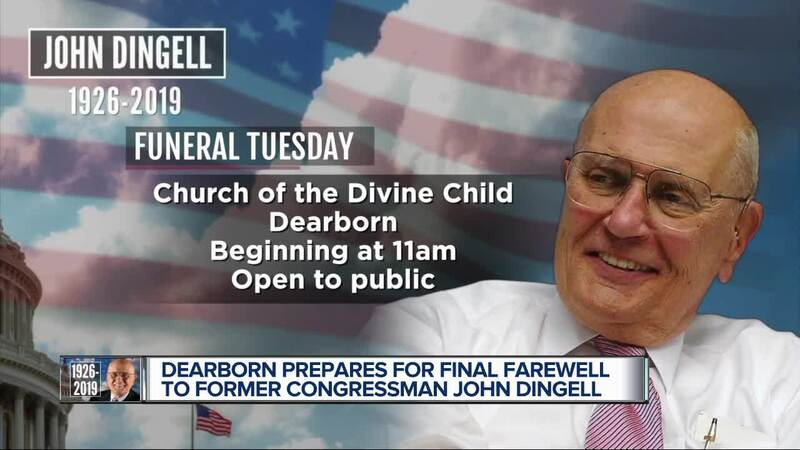 CLICK HERE TO WATCH THE VISITATION AT 11 A.M.
Dingell's funeral mass will be held at Church of the Divine Child in Dearborn on Tuesday, Feb. 12 at 11 a.m. The church is located on 1055 North Silvery Kane and will be open to the public, with limited seating available. 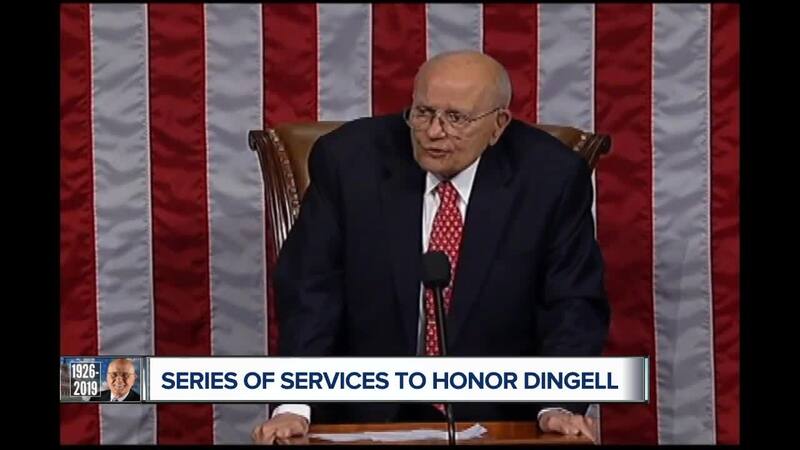 A visitation for Dingell will be held at Dearborn's Ford Community and Performing Arts Center on Monday, Feb. 11 from 11 a.m. to 8 p.m. This event is also open to the public. The center is located on 15801 Michigan Avenue. Internment will follow a funeral service at Holy Trinity Church in Washington, DC. That mass will be held at 10:30 a.m. on Thursday, February 14.